In a recent American Heart Association survey of Hispanic Americans, 45 percent thought they were at ideal heart health. However, 66 percent of those surveyed said a health professional told them they had a risk factor for heart disease and/or needed to make a lifestyle change to improve their heart health. These findings indicate that most people don’t associate important risk factors such as poor diet and physical inactivity with heart disease. Further survey findings show that whites (83 percent) are more likely than Hispanics (71 percent) to have visited a doctor within the past year. Hispanics are also further behind whites in knowing their blood pressure, cholesterol and glucose levels. Heart Disease, Stroke and Diabetes are the leading causes of death among Hispanics. The majority of Hispanics are not aware that these can be prevented with simple lifestyle changes. This book can help teach Hispanic families how to identify their risk factors as well as steps to lower their risk. 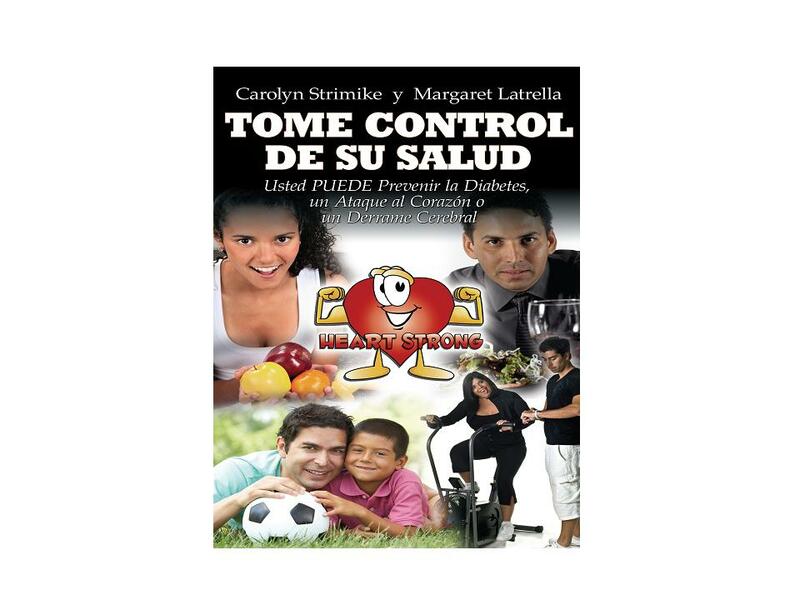 “Tomo contol de su salud” is a step by step guide which is easy to understand and includes many pictures and charts. Heart disease, diabetes and stroke are the leading causes of death among Hispanics, but you CAN prevent them. One out of four Hispanics die from heart disease or stroke. Hispanic people are twice as likely to develop diabetes compared to non-Hispanics. Hispanics develop heart disease risk factors ten years younger than non-Hispanics. This book will teach you and your family how to prevent a heart attack, stroke and diabetes.